What’s the Difference between Being Productive and Bearing Fruit? One day, the Lord approached me. “I’d like you to play a role in my story,” He said. “Wow, me? What can I do?” I said. I opened it to John 15:8 (NASB) and read, “My Father is glorified by this, that you bear much fruit.” That’s just what the Lord said He wanted. I’d better get busy. So, I began my list of what I would do to bear fruit. I’ll write a Bible study and teach it to others. That will bear fruit. I was busy, but I wasn’t making much progress. A small leak at my kitchen sink brought a month of interruptions. And that was just the beginning. I would soon have to pack up everything on the main level and move out for a week. My dog got sick. That meant more visits to the vet and time spent in research on his condition. People were twenty minutes late for appointments. The phone kept interrupting my work. Each call required two more calls. I got up early one morning and prepared a cup of carrot-beet juice to get me going. I heard a thud as I returned to the kitchen carrying my laptop. My youngest dog stood over the liquid mess. “Cosette!” Her brown eyes looked at me quizzically, and I read her thoughts. You drink this stuff? The floors needed mopping, but I hadn’t gotten up early on a Saturday to clean the floors. This was not going like I’d hoped. I wanted to bear fruit. But, if bearing fruit meant being productive, I’d failed. I read the passage again: “I am the vine; you are the branches. 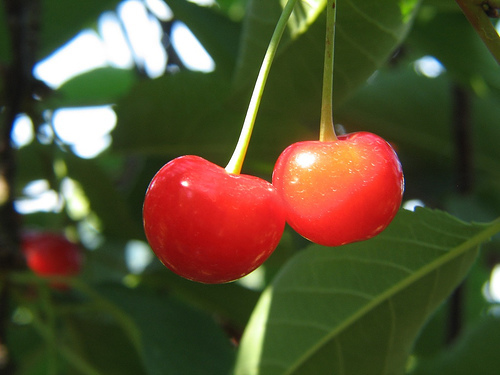 If you remain in me and I in you, you will bear much fruit” (John 15:5, NIV). How could I have missed this? Fruitfulness comes from staying connected to Jesus, not from being busy for Him. Bearing fruit doesn’t depend on if or when my ideas are accomplished. My fictional story is filled with fact. God didn’t show up and ask me to have a role in His story, and yet He has called you and me to play parts in His eternal narrative. We are called to glorify Him. If you’re like me, you may have confused a sense of productivity with fruitfulness. It is easy to view time we’ve set aside as “our time.” Yet, making Christ Lord, includes accepting His lordship over our time. I can’t create time. I can only schedule it. Yet, my best plans don’t stop circumstances beyond my control from intruding. But, interruptions don’t have to thwart fruitfulness. My life glorifies Christ and bears fruit when I stay connected to Him. I’m sure the fruit of the Spirit was included in the fruit Jesus mentioned in this passage. I would certainly welcome a bumper crop of this fruit: “But the fruit of the Spirit is love, joy, peace, patience, kindness, goodness, faithfulness, gentleness, self-control (Galatians 5:22-23, NASB). This week I didn’t accomplish my list. 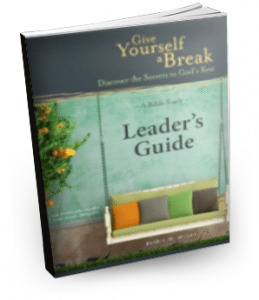 But, when I rested in Christ, I experienced peace and patience—not natural Debbie-traits. Maybe, just maybe, God accomplished His list for me. My Bible study is on entering God’s rest. It gives God’s perspective on ten areas that can cause us to fret. I need help with the title. Here are some options that have been considered. I’d love to have your thoughts. For the Rest of Your Life—Seeing Life from God’s Perspective. Mark your calendars. Ladies, my daughter Ginny will be leading a ten week summer Bible study that will begin on Tuesday, June 3rd. 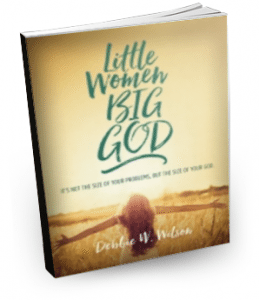 They meet from 7 – 9 in the evenings and will use my study, Little Women—Big God. I vote for either of the “give yourself a break” titles. Laura, Thanks for your input. This was a wonderful article. I’ve written a Bible study myself and in the process of another. I totally relate to your article. This was my prayer this morning: for God to remind me it’s all about His timing and not mine. I appreciate your words, as it reinforces what I felt this morning from my alone time with God. Would you mind if I post your blog, or better yet, post a link to your blog on my website? I would love others to read this, as well. Susan, thank you. I’d love for you to share it. May God anoint your work! Fun and true. Thanks, Alan. I like Sometimes “You Just Need to Wear Pajamas All Day—Discovering God’s Rest”. I’ve done this from time to time. I still “get things done”, but the pajamas just keep my attitude on resting and going slower. The pajamas also let “company” know that they should not stay very long. LOL! I like working in my pjs too! I appreciate the feedback. Thanks so much to each one for sharing your thoughts. Anybody else want to pipe in? Clever, thanks so much, Lon. Beautiful Debbie and something I struggle with. I am a “doer” and love that feeling of checking things off my to-do list and feeling productive. But that’s very different from bearing fruit that lasts as you so beautifully explained. This line is one I will continue to ponder: “Fruitfulness comes from staying connected to Jesus, not from being busy for Him.” It’s perfect. And I just love #4 for the title – it just jumped out at me. Thank you, Ann. I appreciate your feedback. I like title #4. Since your other book has “Give Yourself a Break” in it, I think it might be confusing to buyers to have another book with those exact words. Loved your post and I am reading in “My Utmost for His Highest” the exact topic you covered on 4/14, which is that it is great to be productive for the Kingdom but we make our mark for His glory when we are walking daily in the Spirit. Thank you, Susan. To be clear, this is the same book. I’m considering changing the title before I do the final printing. Thanks for sharing. Loved the reminder that walking daily in the Spirit trumps productivity. Hey Debbie, if I were you, I’d keep the same title, “Give Yourself A Break”. a different title. Just my thought. M.C. I like 1 and 4:) and I love the blog!